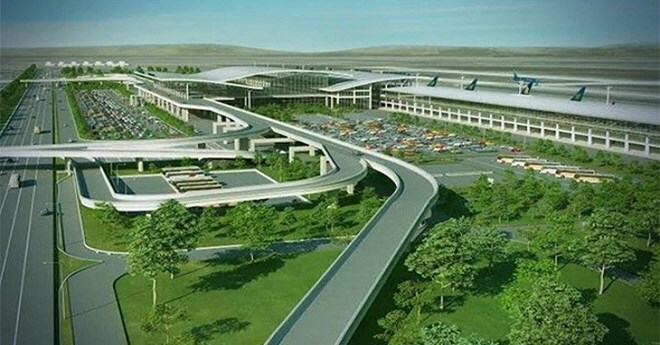 Dong Nai (VNA) - The People’s Committee of Dong Nai province has suspended the licensing of construction projects in residential areas around the planned Long Thanh International Airport in an effort to prevent speculation and higher land prices. At a recent meeting on site clearance, Vice Chairman of the Dong Nai People’s Committee Tran Van Vinh asked Long Thanh and Nhon Trach district authorities who grant licences to construction projects to first wait for the planning of areas around the projects to be completed. To receive public feedback on the plan, the committee and Long Thanh district will work together to publicise information about the plan, Vinh said. The Government has told the province to work with relevant agencies on a feasibility study on site clearance and compensation to residents who will have to move before the project begins. The Ministry of Planning and Investment will assess the feasibility study and submit it to the Government before sending it to the National Assembly for approval. A spokesman from the Dong Nai province’s Department of Natural Resources and Environment said the feasibility study would be submitted to the Government by the end of August. The feasibility study is expected to include information about the status and location of the airport project; infrastructure for re-settlement areas for affected households; land reclamation and compensation; and job training and employment opportunities for the resettled. Also included will be re-adjustment of administrative borders of the area; environmental impact of the project; sources of investment; and information on the progress of the feasibility study. The department said that speculators, after hearing about the airport plan, had bought farmland plots and divided them into smaller plots for resale. This would likely cause prices of land around the airport to rise, it said. Around 15,000 Dong Nai residents will be affected by the airport project, 70 percent of them farmers, with others working at rubber plantations or other jobs, according to Dong Nai province’s People’s Committee. Compensation for site clearance to households is estimated to total 23 trillion VND, including 5 trillion VND approved by the National Assembly for site clearance between 2016 and 2020.